Oh my! Kisha sure has a lot of work to do! 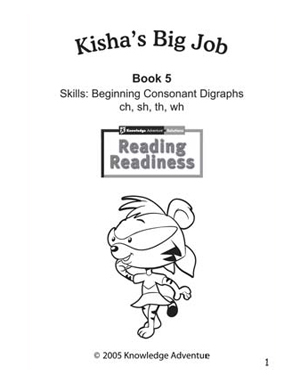 Get your kids to read all about ‘Kisha’s Big Job’ and learn about beginning consonant digraphs. A fun reading activity, ‘Kisha’s Big Job’ also includes printable coloring worksheets that kids are sure to love filling in. It is a good way for parents and teachers to engage the little ones and teach them important reading skills and new words in the process!